This is part of my on-going series of posts on Health Care for Christian Scientists & Former Christian Scientists. Many thanks to D- for his insights! Christian Scientists experiences with doctors varies widely, some have been raised with one non-CS parent, so they’ve been vaccinated, been to doctors, dentists, etc., while others have been raised with absolutely no exposure. This is a brief overview of the types of primary doctors that most people are likely to encounter, and meant to be more of a starting-point than a collection of all-encompassing knowledge. I strongly recommend being upfront with any doctors/medical staff you encounter about your Christian Science past, and lack of medical history. They may look at you like you have two heads, but most medical people are likely to be shocked to hear someone has never been to a doctor. Once the initial shock wears off, the medical person SHOULD strongly recommend getting blood work/other routine tests to determine immunities and obtain a baseline (this may also reveal unknown medical problems already in existence). They should also take some time to explain the benefits of vitamin supplements and explain the results of baseline vital signs and what they indicate. If they keep harping on the lack of medical background or speak poorly of your parents, then it is time to shop for a new health care provider! I was raised with the very unhelpful notion that “doctors are looking for a problem” and they “only want to use you as a pin-cushion.” I’m still working on overcoming those fears, and am gradually learning to accept doctors in my life as resources and allies, instead of adversaries. I’m not going to the doctor for them to find something wrong, I’m going because something is wrong and I’d like it to get better. Don’t be afraid to ask questions. I try and have a list of questions either on a piece of paper, or tucked away somewhere in the far recesses of my brain before appointments. Start keeping a record of your medical history (there will be post about this later). Remember, the most important thing to remember is that a the medical professionals are working FOR YOU. Especially in the primary care physician realm, you are paying them to be your medical resource, therefore you should feel comfortable (and they should encourage you) calling and asking questions. A note about “alternative” health care: If you have a good Primary Care Physician that you are comfortable with you should begin by talking to them about it. If they say that ALL alternatives are BS then you may want to consider looking elsewhere for a PCP. There are NO absolutes in ANYTHING scientific, if your provider snubs their nose at everything then that brings into question their scientific integrity and willingness to evaluate the whole patient instead of just a single symptom. Try and find a doctor BEFORE an emergencies arises. It is much easier to get to know someone without the fear of an unknown ailment looming over you! A primary care provider (PCP) is a health care practitioner who sees people that have common medical problems. This person is usually a doctor, but may be a physician assistant or a nurse practitioner. Your PCP is often involved in your care for a long time, so it is important to select someone with whom you will work well. (via MedlinePlus). I finally got a PCP about three years ago after being hounded by the maternity ward nurses and my OBGYN’s office staff. Given the unique circumstances which landed me in the hospital with Kid1, they felt I really should have a primary care physician (they actually felt EVERYONE should have one, but I needed to get one ASAP). I picked one that was associated with the hospital Kid1 had been born at, as well as the pediatric offices. My primary reason for picking my doctor was that she didn’t specialize in geriatric care (we have a large elderly population here) and her office was in town (ten minutes away with traffic). I’ve visited her three times: twice for physicals (one of those was also to establish her as my PCP and put a name with a face), and once for excruciating pelvic and back pain. 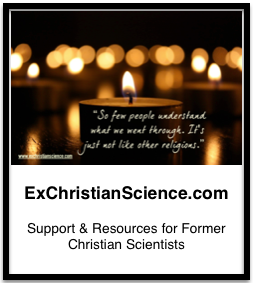 She is kind, helpful, and was cool with the fact I’d been raised as a Christian Scientist. Always helpful. How to choose one: MedlinePlus, University of Maryland Medical Center, CareCounsel.com all have tips on how to pick one. It comes down to who meets your needs, who you are comfortable with, who your insurance will cover (if you have insurance, I’m not going to try to explain health insurance). There are also usually online ratings and reviews by patients, I wouldn’t use this as a primary source, but it is good to see what else is out there. There are often multiple providers working in a single practice so perhaps it is worth dealing with more than one before going completely somewhere different. then it is ABSOLUTELY time to find a different one. Also, if you have health insurance they will also have a 24 hour hotline you can call. Most of the time if you are calling after hours the advice will be to go to ER or urgent care. Many offices will have drop-in hours where they will see people without an appointment – often first thing in the morning. Of all the doctors on the list I have had by far the most experience with dentists. I’ve had five or six dentists in my time, as well as an endodontist, and an orthodontist. Make sure you find a dentist you like, also make sure you like their hygienists/staff. I had my first optometrist appointment in the fifth grade thanks to the persistence of a school nurse. Both my parents have glasses, as does my sister. Getting glasses tremendously improved the headaches I’d been having (eye strain will do that), and it enabled me to see the board/over head projector. Most states require a vision test to get a drivers license (at least the one’s I’ve lived in), and being able to see things clearly (not just in the Spiritual/Metaphysical sense) is always a good idea! A pediatrician is a primary care doctor for kids. They can be an invaluable resource for child-related questions. We picked ours because he was on duty the night Kid1 was born and he made us feel comfortable under very trying circumstances. Many OBGYN offices have a list of pediatricians, or ask around from other friends with children. If you’re unsure whether to take your child to the doctor call your pediatrician. For many women, their gynecologist/nurse practitioner is the only doctor they see regularly for well-woman exams (which can also be done by primary care physicians). You should have a primary care physician, and then if you have any gynecological issues or get pregnant, they can refer you. If you’re unsure, most ERs will let you call ahead to make sure it is actually an “emergency” or you can call your PCP’s office first. We’ve gone for thumb amputations (I grazed the tip of my thumb with a chefs knife and there was blood everywhere), a sprained elbow, a nasty face-plant into the TV table, and pain that would not go away after days and days and days of waiting to “know the truth” about it not being real. If you can’t get a hold of your PCP, do what you feel is best – I realize that this can be tricky for CS as they’ve been raised with the idea that “pain isn’t real” but I don’t really have a definitive answer. Urgent Care Centers are normally free standing buildings (not connected to a hospital) that are an alternative to the Emergency Room at a hospital. Some are open 24 hours, others maybe open 12 hours. They basically offer medical attention on a walk-in basis, no appointment needed. They’re known for short waiting times, and can help you with everything from flu symptoms, broken bones, stitches for bad cuts, and sometimes offer X-rays. Some insurance plans offer easier access to the urgent care centers than the emergency room at a hospital, in other words, you may pay less money at the urgent care center. There are registered nurses on staff and a doctor is there to write prescriptions (via WikiAnwers). I have no experience with urgent care clinics/centers, but I’d imagine you can call in first and see if what you’re experiencing is an emergency or not.